Recycle On EOF? is one of the multiple parameters of CSV Data Set Config configuration element. CSV Data Set Config is config element of apache jmeter and you can use it in your software load test plan if you wants to read data from csv file. You can READ MORE about CSV Data Set Config if you wants to know how it works and when to use it in your software load test plan. Here we will learn about usage of Recycle On EOF? parameter. Use Of Recycle On EOF? Recycle On EOF? flag allows you to set your preference to read/don't read data from beginning of file once reach on end of file. If set it to true, It will read data from beginning of file once reach on end of file. Else It will stop reading data from file once reach on end of file. Example On Usage Of Recycle On EOF? 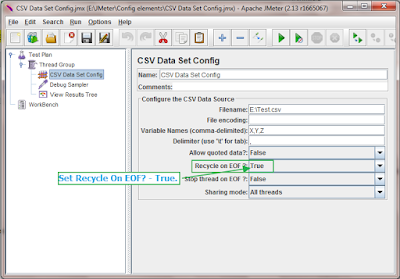 We will use same CSV Data Set Config.jmx software load test example and Test.csv file to see actual usage of Recycle On EOF? 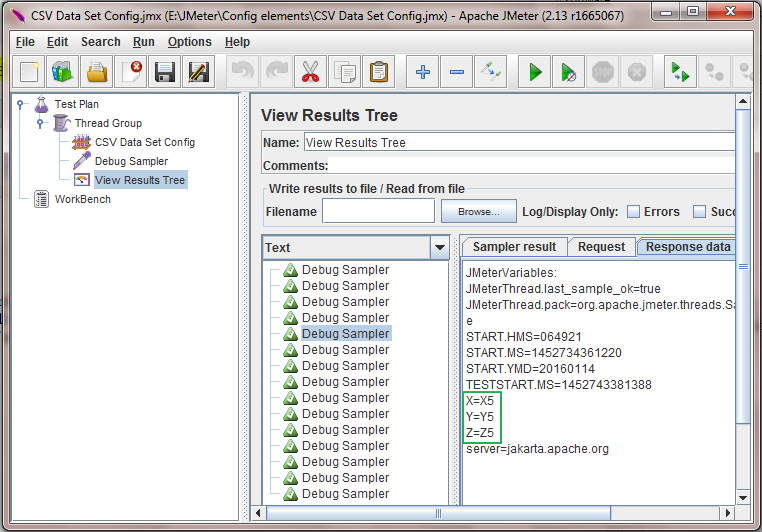 parameter in CSV Data Set Config. You can see there are only 5 rows of data in Test.csv file. 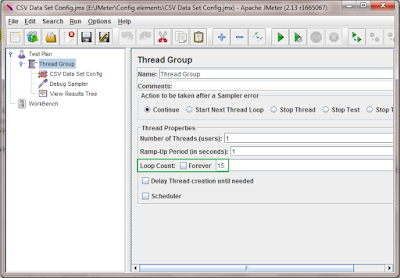 And thread group has Loop Count = 15 and Number of Threads = 1. 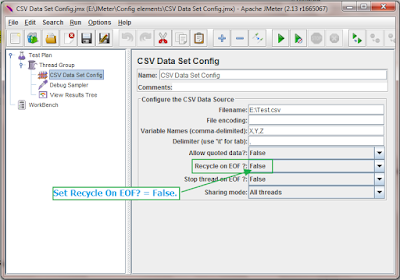 Now set Recycle On EOF? = False. 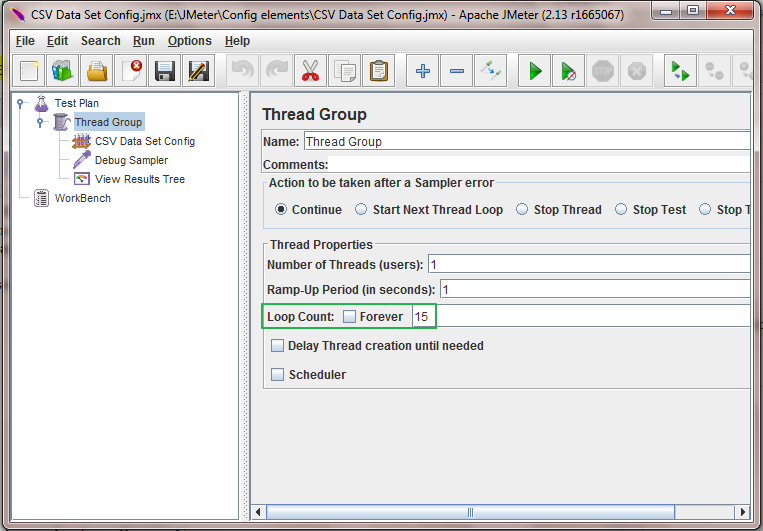 In this configuration, Thread will read and get data from csv file for 1st 5 loop count only. 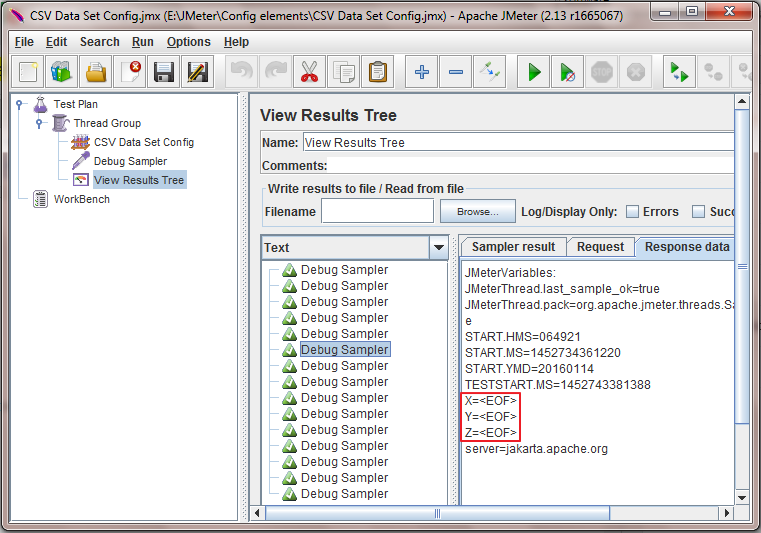 When thread will enter in 6th loop count, It will not get data from csv file as we have set Recycle On EOF? = False. It will show message EOF. View result in tree data for 5th and 6th debug sampler will looks like bellow. 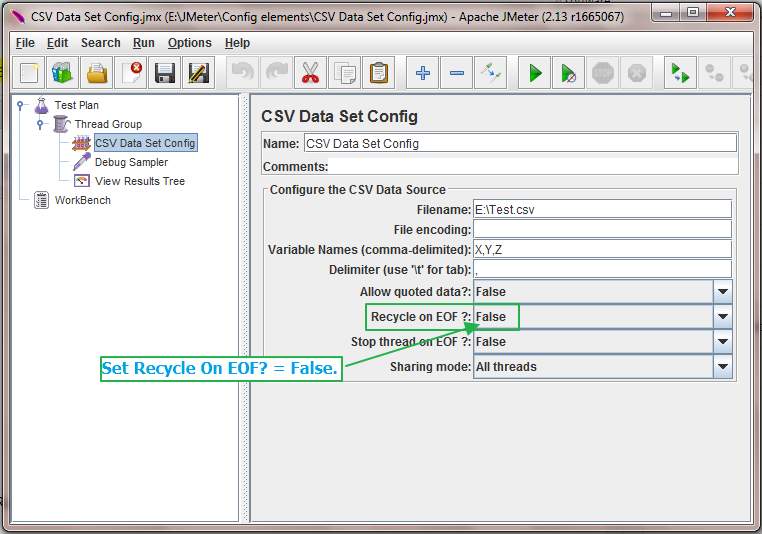 Now if you will set Recycle On EOF? = True and run your test, 6th sampler's result will looks like bellow. 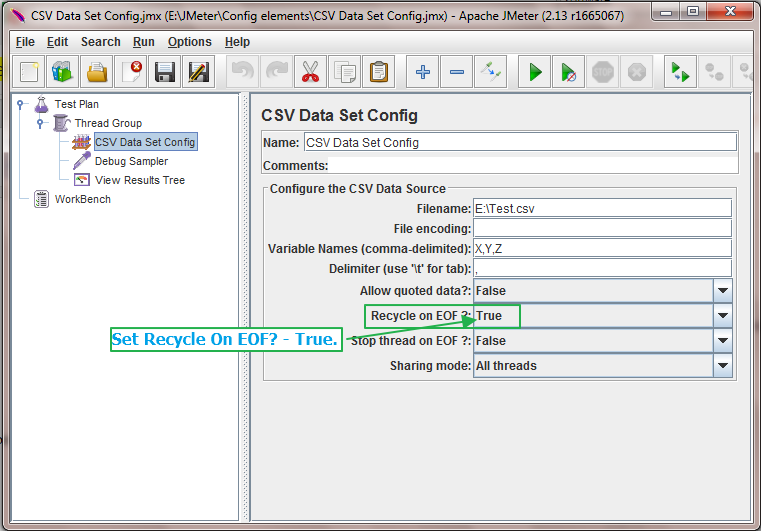 Thread will get data from beginning(1st row of csvfile) of file once reach on EOF if set Recycle On EOF? = True. You can set it as per your requirement in software load test plan.